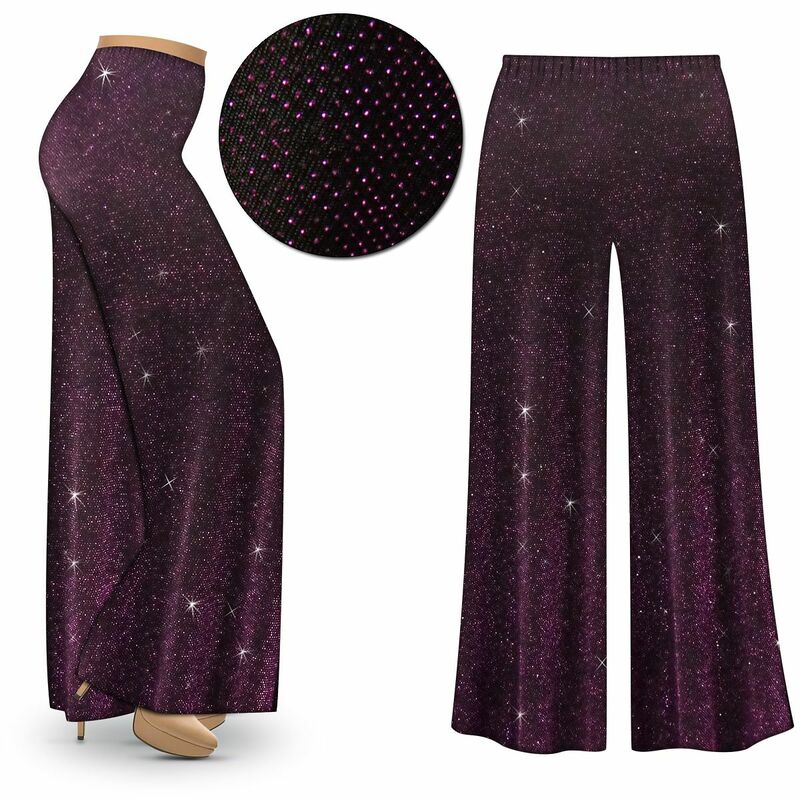 These are fabulous bright and vibrant lightweight stretchy slinky print plus size elastic waist pants. They are available in straight leg, tapered, snug leggings, gaucho / wide leg palazzo pants, and come in either full or capri length. They boast the perfect print for fun & relaxation, and are completely customizable! Style: Straight leg, tapered leg, leggings, or palazzo pants.